OLEH – BUHARI Volunteers Movement, BVM, Sunday told those opposed to the adminstration of President Muhammadu Buhari to ‘truly’ mourn the victims of herdsmen attack in Benue State and desist from using the killings as a political selling point. It said: “Security issues cannot be so trivialized because they have to do with human lives. No individual should get back on President Buhari through Benue killings. The killers are enemies of Nigeria and they must be treated as such. President Muhammadu Buhari has shown commitment in tackling insecurity across the country. Saying that the lives of the victims were worth more than mere political propaganda and colouration, the group, in a statement by its Coordinator, Comrade Paul Michael said: “We deeply mourn with the good people of Benue State and Nigerians in general over the callous killing of over 70 innocent citizens by some disgruntled elements parading themselves as herdsmen. “It is most unfortunate that some persons under whatever guise take pleasure in taking human lives simply to satisfy their egocentric desires. 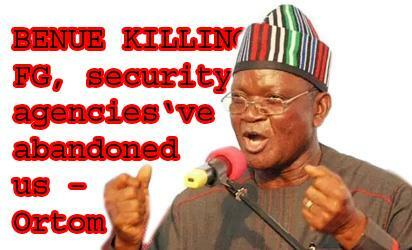 BVM condemn in its strongest term the Benue massacre and other killings across our country. “We want to reiterate that Fulani herdsmen are known to carry sticks to control their flocks, so anyone seen with illegal arms parading himself as a herdsman should be dealt with strictly by the law enforcement agencies. We see those that carried out the Benue massacre as terrorists that are trying very hard to frustrate the security assurance of this administration. “The police must ensure justice is done to the slain and uphold the safety of lives and properties across the country. Meanwhile, we frown totally on those individuals playing politics with the lives of our people. The way Benue killing has turned to a political selling point, has taught us that many Nigerians have no respect for human lives. “Being a man of few words, we can say that the President feels the pain of all Nigerians, hence, has instructed the Nigerian police to ensure that the perpetrators of the heinous attacks are brought to book, so peace can be restored to Benue State. The post Don’t use Benue massacre as political selling point, BVM tells opposition appeared first on Vanguard News.